Not to be confused with New Catholic Encyclopedia. The Catholic Encyclopedia: An International Work of Reference on the Constitution, Doctrine, Discipline, and History of the Catholic Church, also referred to as the Old Catholic Encyclopedia and the Original Catholic Encyclopedia, is an English-language encyclopedia published in the United States and designed to serve the Roman Catholic Church. The first volume appeared in March 1907 and the last three volumes appeared in 1912, followed by a master index volume in 1914 and later supplementary volumes. It was designed "to give its readers full and authoritative information on the entire cycle of Catholic interests, action and doctrine". The Catholic Encyclopedia was published by the Robert Appleton Company (RAC), a publishing company incorporated at New York in February 1905 for the express purpose of publishing the encyclopedia. The five members of the encyclopedia's Editorial Board also served as the directors of the company. In 1912 the company's name was changed to The Encyclopedia Press. Publication of the encyclopedia's volumes was the sole business conducted by the company during the project's lifetime. The encyclopedia was designed to serve the Roman Catholic Church, concentrating on information related to the Church and explaining matters from the Catholic point of view. It records the accomplishments of Catholics and others in nearly all intellectual and professional pursuits, including artists, educators, poets and scientists. While more limited in focus than other general encyclopedias, it was far broader in scope than previous efforts at comprehensive Catholic encyclopedias, which covered only internal Church affairs. It offers in-depth portrayals of historical and philosophical ideas, persons and events, from a Catholic perspective, including issues that divide Catholicism from Protestantism and other faith communities. Since the encyclopedia was first published starting in 1907 and has never been updated (versus the New Catholic Encyclopedia), many of its entries may be out of date either with respect to the wider culture or to the Catholic ecclesiastical world. In particular, it predates the creation of the Vatican City State (1929) and the Second Vatican Council (1962–1965), which introduced many significant changes in Catholic practice: For example, the online version of the entries on Judaism and Islam at newadvent.org states in an editorial note: "To complement this article, which was taken from the 1910 Catholic Encyclopedia, New Advent recommends a prayerful reading of 'Nostra Aetate' from the Second Vatican Council." Edward A. Pace, Professor of Philosophy at The Catholic University of America in Washington, D.C. The editors had their first editorial meeting at the office of The Messenger, on West 16th Street, New York City. The text received a nihil obstat from an official censor, Remy Lafort, on November 1, 1908, and an imprimatur from John Murphy Farley, Archbishop of New York. This review process was presumably accelerated by the reuse of older authorized publications. In addition to frequent informal conferences and constant communication by letters, the editors subsequently held 134 formal meetings to consider the plan, scope and progress of the work, culminating in publication on April 19, 1913. A first supplement was published in 1922; a second supplement in nine loose-leaf sections was published by The Gilmary Society between 1950 and 1958. In 1912, a special completely illustrated, commemorative volume was awarded to those patrons who contributed to the start of the enterprise by buying multiple encyclopedia sets early on. There was controversy over the presence of the Catholic Encyclopedia in public libraries in the United States with nativist protests that this violated the separation of church and state, including a successful appeal in Belleville, New Jersey. The encyclopedia was later updated under the auspices of The Catholic University of America and a 17-volume New Catholic Encyclopedia was first published in 1967, and then in 2002. The work is entirely new, and not merely a translation or a compilation from other encyclopedic sources. The editors have insisted that the articles should contain the latest and most accurate information to be obtained from the standard works on each subject. However, "from standard works" allows that some of the articles from European contributors such as Pierre Batiffol (French) and Johann Peter Kirsch (German) had previously been published in whole or in part in Europe and were translated and edited for the Encyclopedia. Those who wrote new articles in English include Anthony Maas and Herbert Thurston. In 2007, Catholic Answers published a watermarked version derived from page scans. This version has since been replaced with a transcription of the Encyclopedia similar to that found at the New Advent site. [Volumes 2] The Catholic Answers transcription, however, is an exact transcription of the original text, whereas the New Advent version at times modernizes certain words (e.g., using the names of Old Testament books found in modern Bibles, such as "1 & 2 Chronicles" and "Obadiah", in place of the Vulgate/Douay–Rheims titles, such as "1 & 2 Paralipomenon" and "Abdias") and Biblical citation formatting (i.e., the Catholic Answers version retains the original's usage of Roman numerals for chapter numbers [e.g., Genesis I,1], while the New Advent version uses Arabic numerals throughout [e.g., Genesis 1:1]). The 1922 supplement to the Encyclopedia is also in the public domain and is available online. The New Catholic Encyclopedia also is available online at some libraries. ^ "The Catholic Encyclopedia". New Advent. Retrieved September 6, 2010. ^ "Catholic Encyclopedia". Catholic Answers. ^ Herberman, Charles G.; et al., eds. (1907). The Catholic Encyclopedia. Volume 1: Aachen–Assize. New York: Robert Appleton Company. Title page. ^ "The Original Catholic Encyclopedia". El Cajon, California: Catholic Answers. Retrieved 2011-07-21. ^ "Scan of 'Preface'". El Cajon, California: Catholic Answers. Retrieved September 6, 2010. ^ "The Making of the Catholic Encyclopedia". The Catholic Encyclopedia and its Makers. New York: The Encyclopedia Press. 1917. pp. iii–viii. 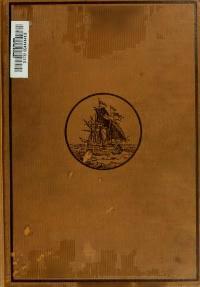 OCLC 748253. ^ "CATHOLIC ENCYCLOPEDIA: Mohammed and Mohammedanism (Islam)". Newadvent.org. Retrieved 23 December 2017. ^ "About". El Cajon, California: Catholic Answers. Retrieved September 6, 2010. ^ "Celledoor Miscellany: Selected Illustrations from the Catholic Encyclopedia". Celledoor.blogspot.com. June 7, 2010. Retrieved 2010-09-04. ^ Separation of Church and State, Hamburger, Philip, Harvard University Press (2002), p. 412. Charles B. Herbermann; Edward A. Pace; Conde E. Pallen (1907). The Catholic encyclopedia ; an international work of reference on the constitution, doctrine, discipline and history of the Catholic Church. archive.org. 14 voll. New York: Robert Appleton Company. Archived from the original on Dec 27, 2018. Wikimedia Commons has media related to Catholic Encyclopedia.